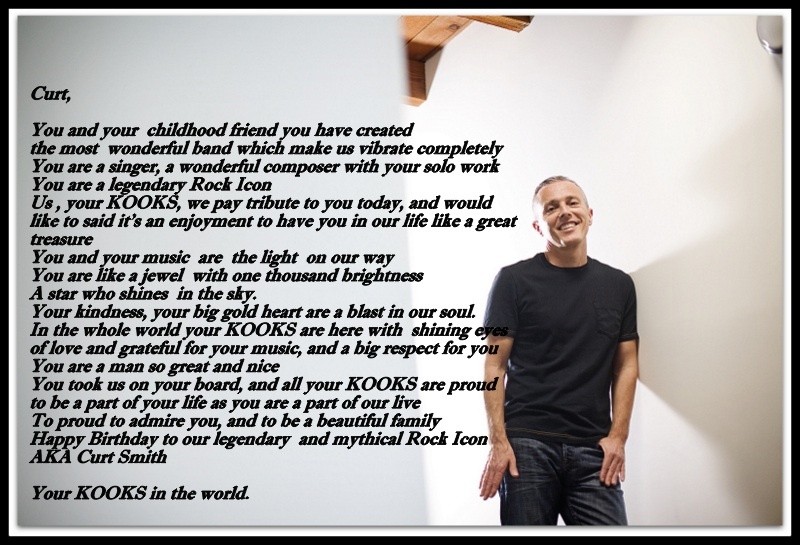 Curt Smith continues to leave us spellbound and speechless…except on his birthday when we’re barely able to keep our cool screaming BONNE ANNIVERSAIRE, CUMPLEANOS FELIZ and other well wishes in all of our languages! 🙂 The Good Man’s Kerfuffle of Kooks are an international bundle of joy, always ready to rock be it online or in line before the shows. Curt has inherited a huge global family and the love is mutual. 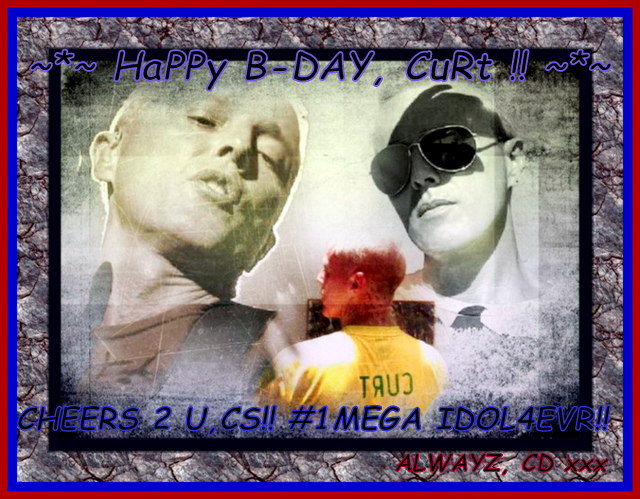 Led by Carri D (USA) and Patricia Patty-O (France) in their signature fashion, we’re celebrating Curt Smith ALL DAY!! One of the leaders of the Phils Kooks, Joyce, is known for her daily interaction with her favourite rockers Tears for Fears. She and other fans are known for their amazing art work, sketches and jewelry. Here, she presents a new gift to Curt. Enjoy this great fan art! Marcio do Brasil is ready to roll and ready to go! Give this guy a piece of cake and a glass of Gin! Here’s a great poem from Melanie M.
TFF’s music’s kept me strong. I taught myself to play your songs by ear. My heart is filled with cheer. I also enjoy seeing you on “Psych”. Now, everything Pineapple is my favorite treat! 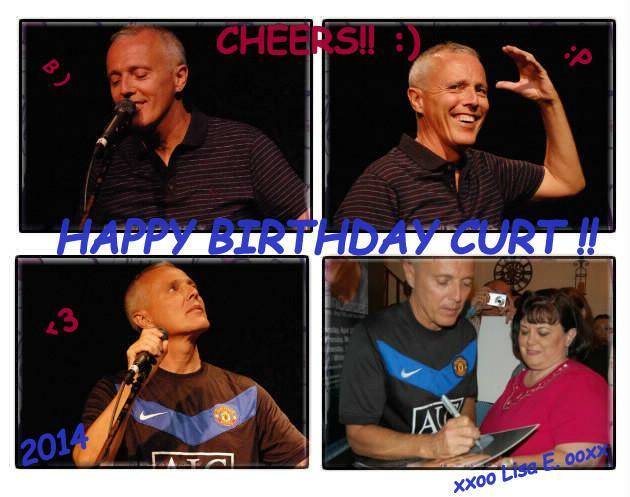 This poem’s to wish you a Happy Birthday, Curt, from a fan in New Orleans! Manami’s cat is in on it too! Meow Happy Birthday, Good Man, meow! And of course, it wouldn’t be a birthday party unless Curt’s political other half Traci joined in. Loyal as the day is long Traci shows up at concerts military style. She sends her love to Curt in a great message. 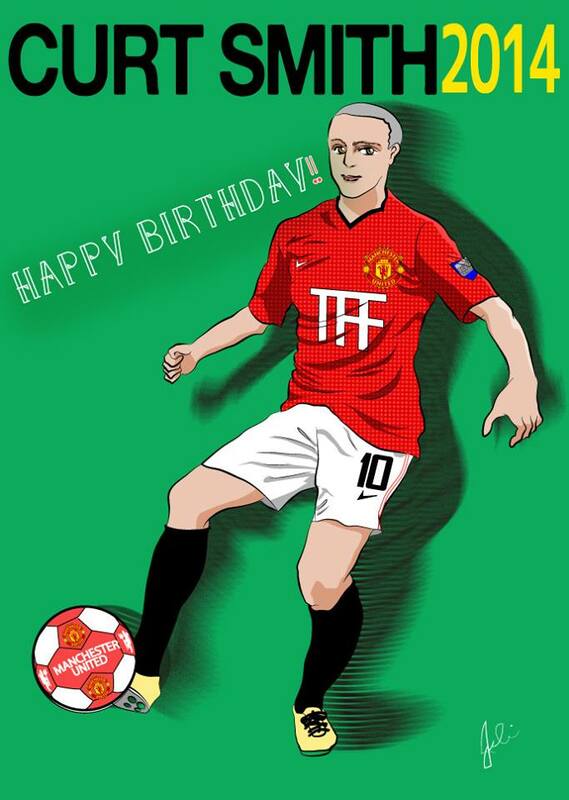 Happy Birthday to Mr. Coolness!!! I remember affectionately calling you this in ’09 and said to myself how it just fits you and your world! Your vibe in bass playing and singing is so to my fan heart. 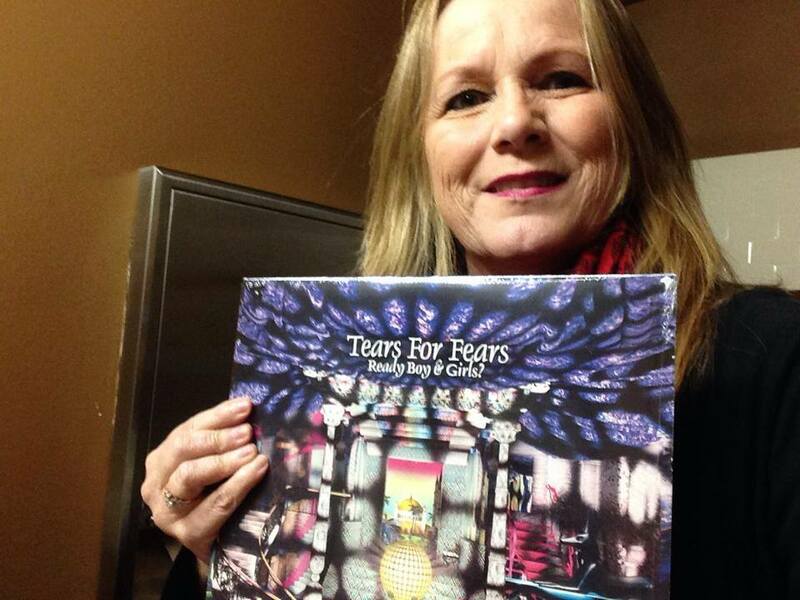 When talking with other TFF admirers we find ourselves talking or can discuss aspects of Tears For Fears music, life etc and what we adore from you both. I can tend to be on the shy side often though some may say otherwise but it’s very true. I adore the fact you have taken a shy person like me and helped me enjoy social media from time to time. Because you engage with your peeps it strips away the stigma to what many of us only saw through a distance of stage and interviews. I thank you so much for filling my musical file with your great music. 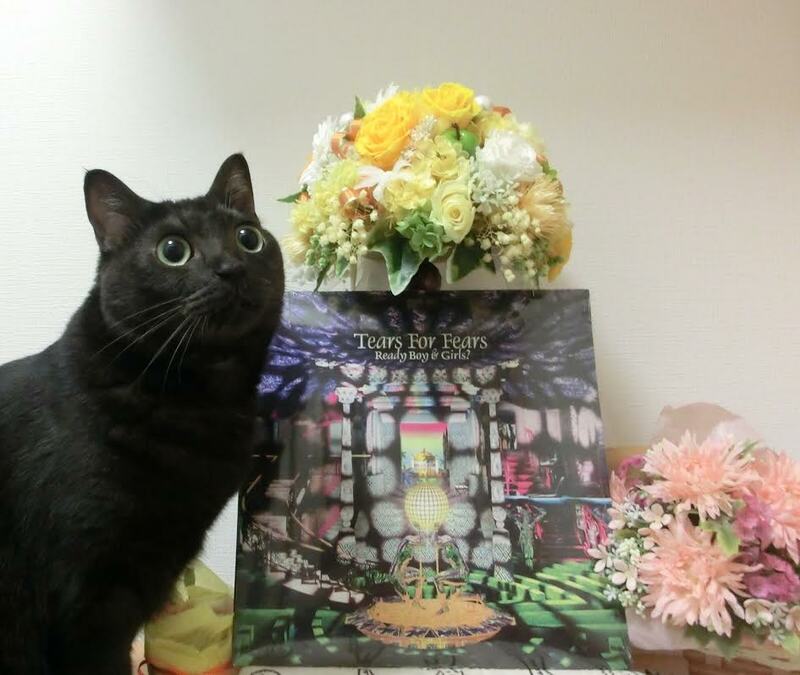 Many other fans may share more in how much they enjoy TFF and your solo but my love for your music is nonetheless. I can feel as though my words can’t express what you bring to my little world and therefore as I want to say them to you my words etc. are not enough. I get nervous or even somewhat overwhelmed to point I could be a fool then I back off and go silent. I thank you again you have worked to get to know me and didn’t run away or push me away. 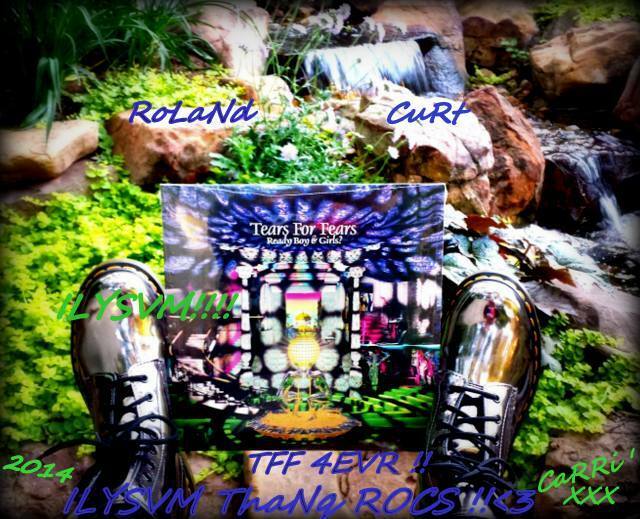 Even as I type this out tears are forming in my eyes because Tears For Fears, both you and Roland’s solo work means so much to me. I will try to share more or better as I can. Please know I respect you, your sense of style, your love for your family and you voice sends me to known joy. Thanks as always Papa S.
Carri D and SheeShee got the Vinyl! Celebrating Curt’s birthday the right way! 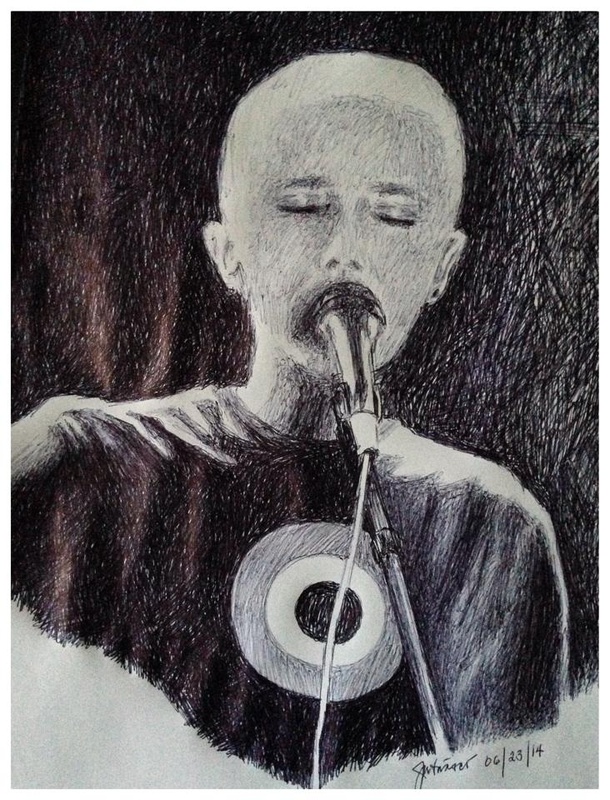 More kickass cool pictures and fan art coming in from Japan!! Here’s wishing TFF all the best for the coming year, 2015! 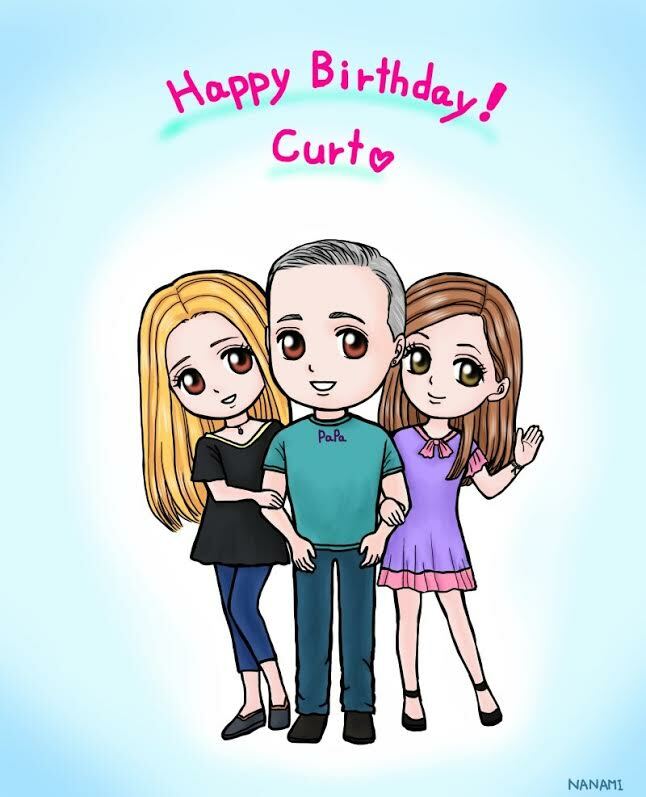 Curt turns a healthy 53 years young today, and he looks OUTSTANDING! We’re very grateful for his continued interaction and including us in family life. 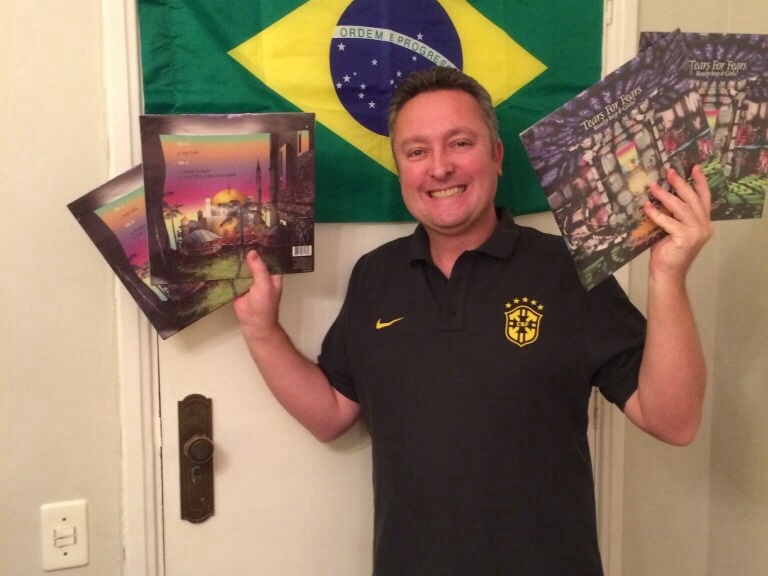 We look forward to seeing him again, more amazing success stories, fun times with Tears for Fears and more! Cheers! Posted on 23/06/2014 25/06/2014 by International Business and Cultural ExchangePosted in Andye Andinha Niakan, Band Holidays, Cammie of New York -Travel Fan & Team Lead, Carri D -Travel Fan & Assistant, Joyce -Travel Fan Lead Philippines, Philippines (#PhilsKooks), Welcome to the Tears for Fears Fan Travel BlogTagged Happy Birthday Curt Smith, Roland and Curt are Kings, Tears for Fears, The Good Man. Next Next post: Band News! Maceo, The McKinleys & Concert Info! 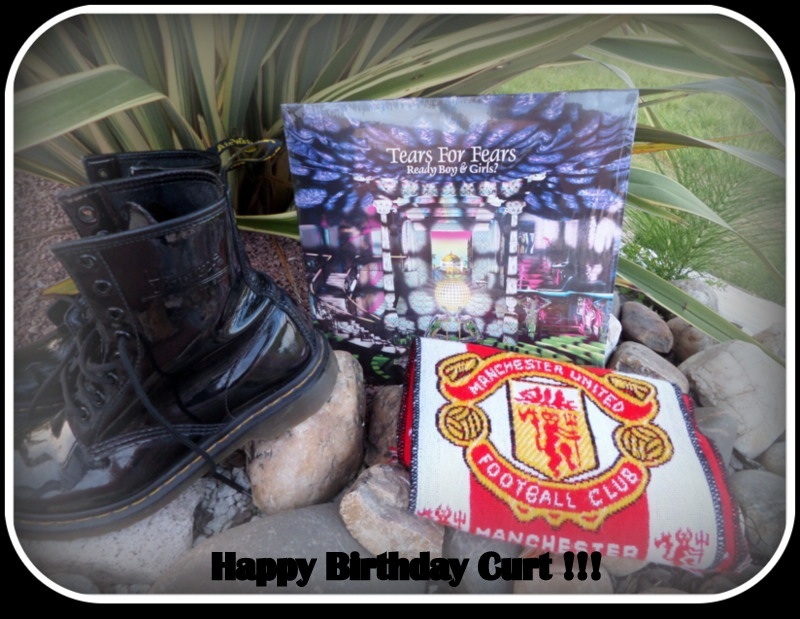 Happy Birthday Curt! TFF’s music and solo albums have meant everything to me for 30 years. Wherever you are celebrating in the world I hope you have a wonderful day.